Thank you for volunteering to be a part of the Fire Warden Team for Royal Roads University. We appreciate your dedication to fire and accident prevention. The information provided in this document is designed to educate and assist you in meeting the responsibilities of your role. Should you have any further questions concerning this program, please contact Human Resources. Dale Mintenko, Supervisor, Plant Operations, is responsible for the maintenance of all fire prevention equipment and fire related facility resources. The WorkSafe BC and the Municipal Act through the Fire Commissioners Office requires that there be a system for the Emergency Preparedness and Response for all staff in their workplaces. Royal Roads University has a designed program that addresses this need, and Fire Wardens (and Alternates) play an important part in meeting these requirements. Fire Captains and Fire Wardens should have a designated "Alternate" who will assume their role for their area when the designated person is absent. If you are away from work, be sure to pass the equipment on to your alternate for the duration of your absence. Fire wardens are appointed to assist managers and supervisors with their responsibility for orderly evacuations of the various RRU facilities. Fire wardens are generally responsible for one floor or in some cases, portions of one floor, in a specific building or facility. As a Fire Captain, Warden or Alternate, you should immediately tour the building/floor where your area of responsibility lies. Familiarize yourself with which offices and workstations are usually occupied, how many persons are normally in that office or work area, where the fire alarms are situated as well as the location of the fire extinguishers. Introduce yourself and your alternate to the staff in your work area so they will more readily identify you when the alarm is sounded and be familiar with whom your Fire Captain is. Periodically inspect your escape routes i.e. hallways, stairs etc. to ensure no one is piling boxes, furniture or other obstacles that may interfere with a safe evacuation of your work area. Importantly, you should be familiar with the location of the various exits from the area/building and with the location of the assembly area outside of your building so that you can properly direct people in the event of an emergency. 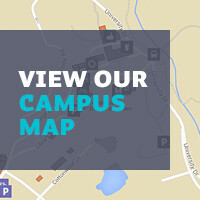 Fire evacuation maps are posted in each work area on campus and indicate the preferred evacuation routes and assembly (muster) areas for each building. As a Fire Captain for your building, your responsibility is to assist the other Fire Wardens and be the contact between the Fire Wardens and authorized personnel (i.e. Dale Mintenko, Supervisor, Plant Operations, Security, and Fire Department). In the event of a fire, the Fire captain will advise the authorized personnel that the building has been evacuated or if there are any persons unable to be evacuated, their location etc. or any other information necessary to relay to the fire dept. Blue colour-coded hard hat, a Hi-Viz vest, flashlight, Fire Warden Evacuation Report & pen (clip into vest pocket). Red colour-coded hard hat, a Hi-Viz vest, flashlight, Fire Warden Evacuation Report & pen (clip into vest pocket). Additional equipment or replacement will be available from Dale Mintenko. Put on your hard hat, vest and grab your flashlight, Fire Warden Evacuation Report & pen (clip into vest pocket). Proceed quickly (do not run) to the location on your floor furthest from the exit stairs you want people to use, shouting instructions to immediately evacuate the building using whatever evacuation route is specified for your work location. Proceed through your assigned area/floor, looking into each office, workstation, washroom, closet etc. where people may be located and direct them out of the building and to report to the designated assembly area, and await further instructions. Close doors and windows on your way if safe to do so. Once you are comfortable that you have been successful in getting everyone out with your “Sweep and Flee” process, go directly to the assembly area and be available to assist in directing the fire department or other emergency personnel to the source of the emergency. Once at your assembly area, double-check to see that all persons who are normally in your work area are assembled. Complete Fire Warden Evacuation Report. report this to Fire Captain or in their absence, to authorized personnel (i.e. Dale Mintenko, Supervisor, Plant Operations, Security, and Fire Department). DO NOT return to your work area to search for them again. The Fire Department or other authorized personnel will direct you when it is safe to return to your work places. You may then communicate this to those persons from your floor that have been evacuated and assembled. AFTER evacuating the building as per the ‘Fire Wardens’ evacuation process, immediately report to your building’s respective muster area. Collect all Fire Warden Evacuation Reports from your respective Fire Wardens and review. Prepare to share information with Fire Department officials or other authorized personnel). Ensure your Fire Wardens are updated as required. If someone in your work area is either physically disabled, wheelchair confined or has hearing or vision impairments, you should introduce yourself to them as the Fire Warden during your familiarization tour (or as they come into your work area). These individuals may require special provisions for evacuation purposes. Spend a short time going through the normal emergency evacuation process with them and determine any other specific requirements that will be necessary. It may be necessary to recruit the assistance of a fellow worker, who is in close proximity to the person requiring additional assistance, to act as a "Buddy" for this person in assisting them in their safe evacuation from the facility. Most importantly, assure them that in the event of an emergency, their needs will be met. Regular evacuation drills/exercises will be implemented as part of the overall emergency preparedness and response program. Fire Wardens may be asked to participate in a review of the exercise/emergency situation. From this review you will determine if your evacuation was fast enough, safe enough evaluate any other problems or issues and assist in the design or development of improvements to our evacuation procedures. As a Fire Warden, you will find that you gain more and more confidence with each practice drill and will be able to perform your duties effectively and efficiently in the event of a real emergency.